The service on Thursday March 15th held in conjunction with the Mothers’ Union, will be at St George’s Church, London and will give an opportunity for women in the community to talk about their struggles for justice. 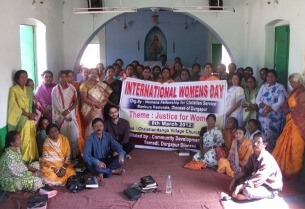 Meanwhile in Durgapur Diocese in India, Alliance steering group member Khagendra Das has held a Justice for Women seminar to mark International Women’s Day. It concluded in the formation of an action group to promote Justice for Women, a move which Khagendra said made it a benchmark day for women’s empowerment in the community. The seminar, in Danga Village Church, reviewed the status of women locally, nationally and internationally. Rev. Amiya Das and other participants, including district women leaders Ms Samapa Daripa and local councilor Ms Seuli Mirdha, discussed biblical women like Ruth, Sara, Mary and Mary Magdalene Mary, and their role in the home and society. “ A congregation/pastorate is powerful when its women are powerful and empowered. They are the only victim of any injustices whether it is male alcoholism, gambling, etc. and women are the main bread earners of the family,” Khagendra wrote in a report for the Alliance. The seminar culminated in formation of a 19 member’s women action group to combat the social ills that keep families in poverty. The names of the action group members were submitted to the police for reasons of protection. 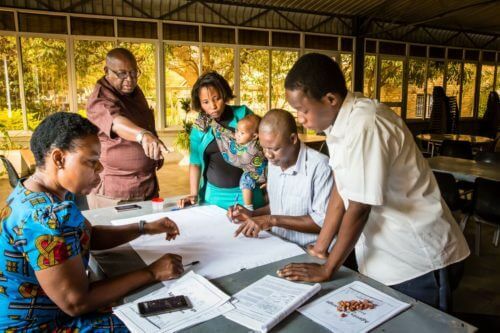 The group’s first steps were to act against unauthorised alcohol sales in the community. More detailed reports on the experience of Durgapur and other dioceses around the Communion are being prepared for the women’s empowerment page.